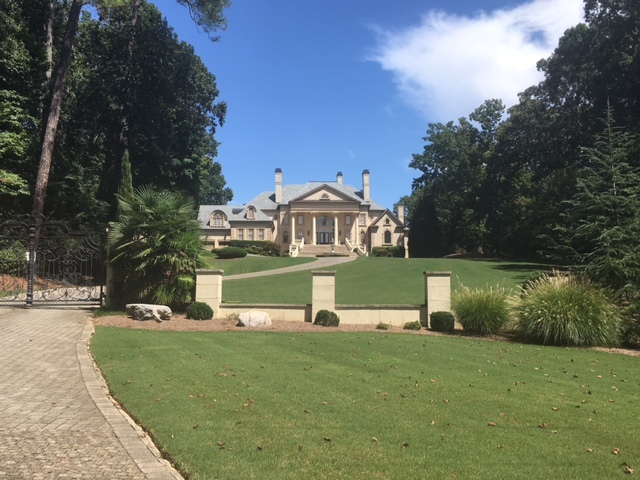 Trip Log – Day 290 – Atlanta GA to Marietta GA | How Will We Live Tomorrow? I woke late to overcast skies and coasted down five flights of parking ramp from my host’s apartment to the streets of Atlanta. Atlanta is to Georgia as New York City is to upstate New York or Seattle is to western Washington. The principle city is at complete odds with its country cousins. 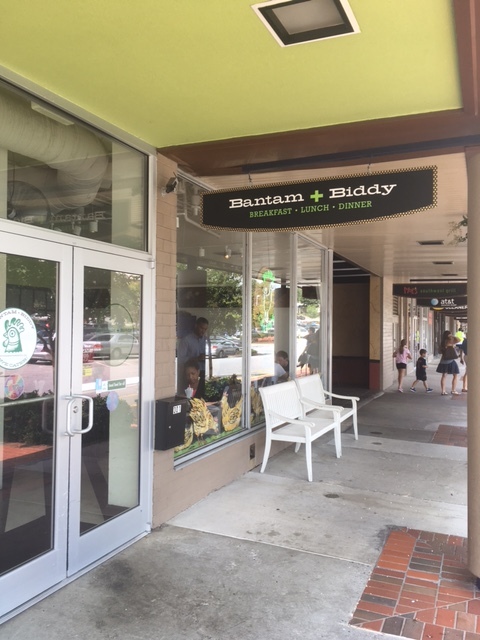 Southern Breakfast at Bantam + Biddy is a smaller portioned, locally sourced counterpoint to the Waffle House All-Star, at twice the price. Parking lots are packed at nine on Sunday morning, not at the local church, but at LA Fitness. The Prius to pick-up ratio is flipped. I spent the morning loitering at the upscale Ansley Shopping Center in Midtown; I even indulged in a rare treat of a donut. I felt slackerlier than I do hanging at a McDonald’s because everyone around me was so purposeful in their food and fitness. 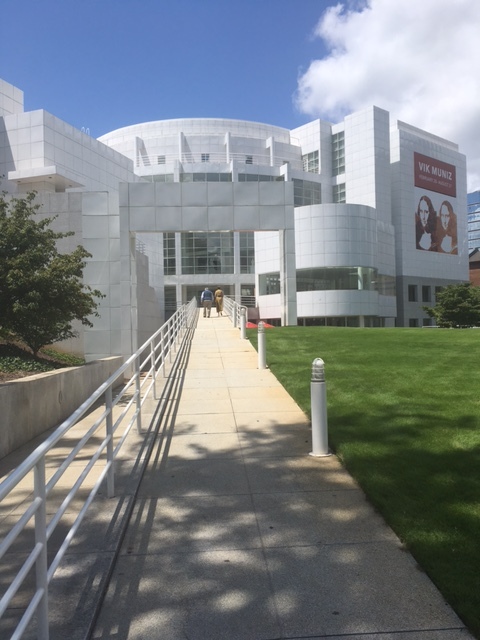 After noon I headed off to explore Midtown, rode through Piedmont Park and went to the High Museum, mostly to see Richard Meir’s 1983 building. I suppose it was a victim of its own success, for in the 1990’s the High added a significant infill addition by Renzo Piano that pulls the museum and adjacent symphony hall together in an outdoor space currently filled with circus-like sculptures. The planning is very good, but the Meier Building is now a trinket along Peachtree Street rather than the heart of the place. I strode up the monumental ramp only to discover it doesn’t get you anywhere anymore. I headed out of town, which meant hills and more hills. I waited out a downpour on the narrow front porch of a model home in a new subdivision without triggering any security alarms. The Paces, a neighborhood of well-heeled estates, has many beautiful homes, and a few garish conceits as well. 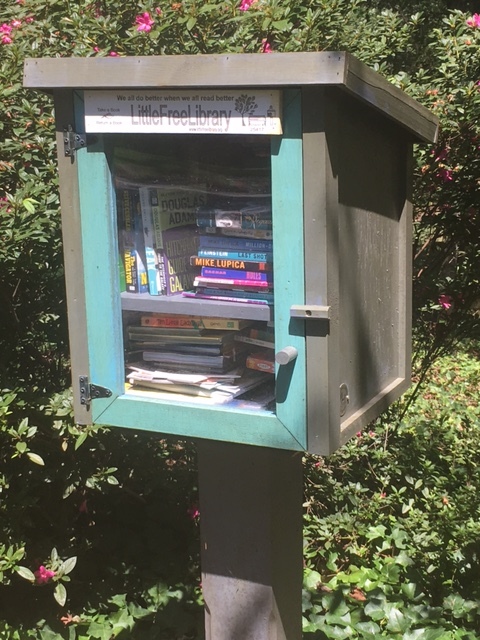 I was pleased to find a little library at one intersection, since I recently finished my paperback. I traded it out for Hitchhiker’s Guide to the Galaxy, which seems more appropriate to my way of living then anyone who lives there. 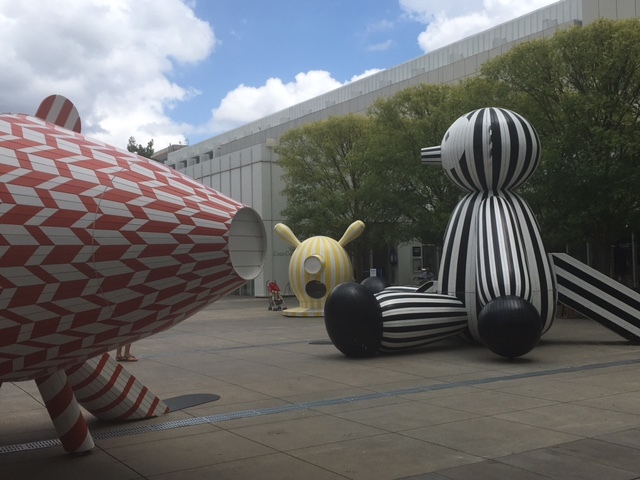 This entry was posted in Bicycle Trip Log and tagged Atlanta GA, Bantam + Biddy, High Museum of Art, Piedmont Park, Richard Meier. Bookmark the permalink. I read Hitchhiker’s… one summer when I was at the beach every afternoon and laughed out loud, sitting there all by myself!